The AccuWeather Global Weather Center is monitoring an area of disturbed weather over the Atlantic Ocean, north of the Leeward Islands, looking for possible tropical development that may begin through this weekend. Development of the tropical system was inhibited by strong winds above the surface waters, but AccuWeather.com forecasts the system will move to where winds are less strong. The system is expected to move towards Bermuda by early next week. “It is possible this system pesters Bermuda with a few days of squalls and gales,” Kottlowski said. By mid next week, he expects it will be swept to the northeast, or it may move westward toward New England or the Maritime provinces of Canada. At this stage, they don’t know if it will develop into a tropical system. 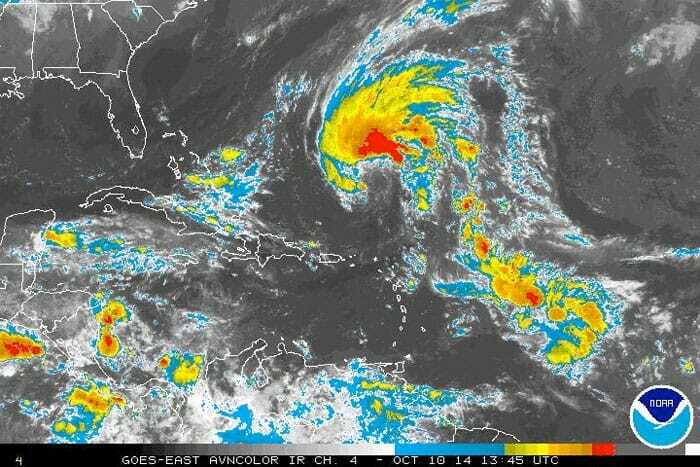 Accuweather says it is typical for tropical development in the Atlantic Basin to move closer to the near-shore waters of North and Central America around this time of year. The most recent tropical system over the Atlantic was Edouard, which lost it tropical characteristics about three weeks ago.